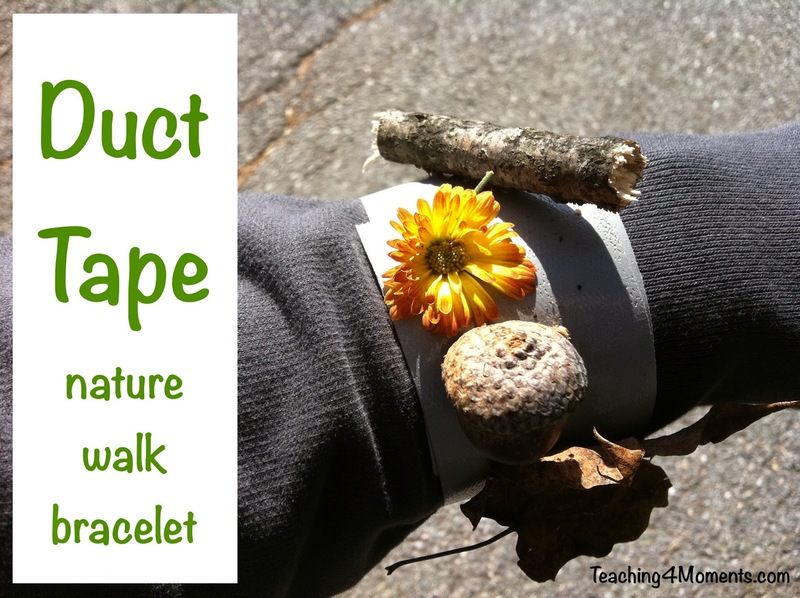 Duct tape for nature walks is essential in our house! ...a great collecting tool. When your walk is done, cut the tape off and examine what you found. Mount on card stock for even longer viewing. 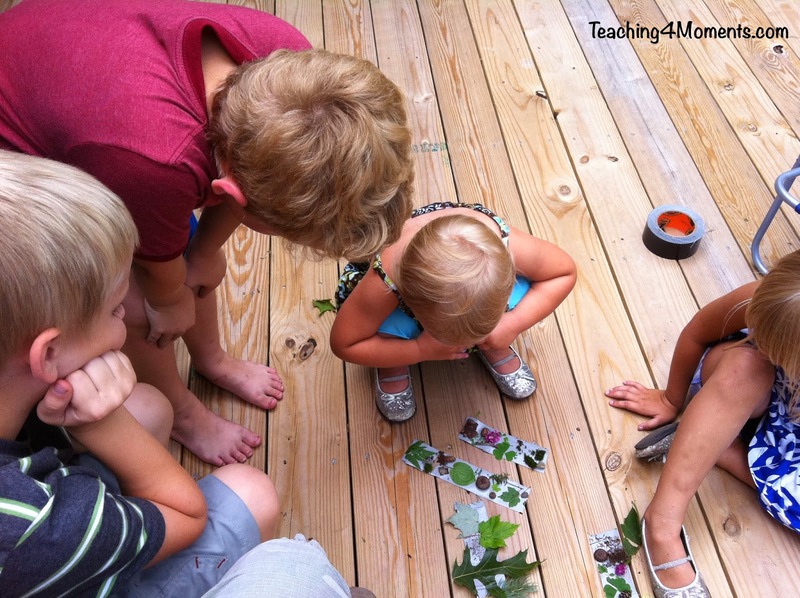 Kids love to check out what they each have discovered. The bubble wand shown here, as well as little ants that later crawled onto our tape, brought out lots of great discussion this particular day. These would also make a great collage art project. 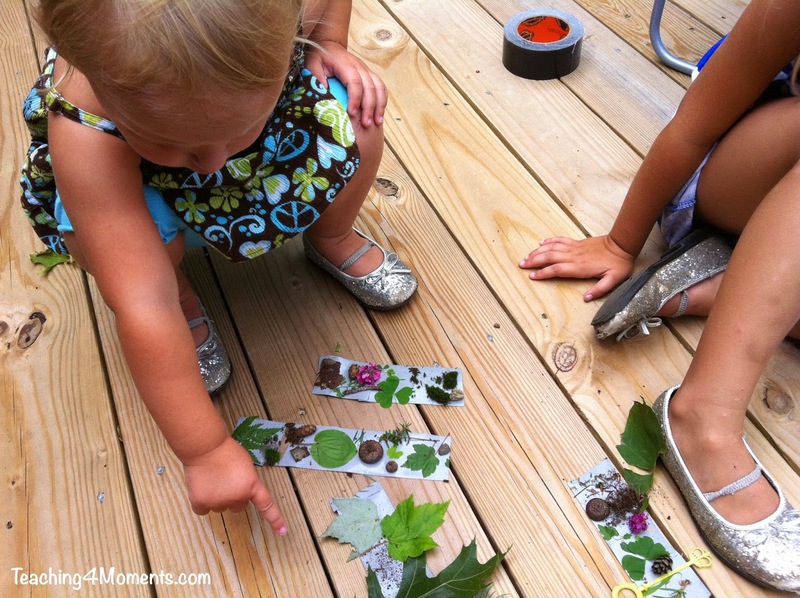 For older kids, have them identify and write on their paper what the items are that they found. 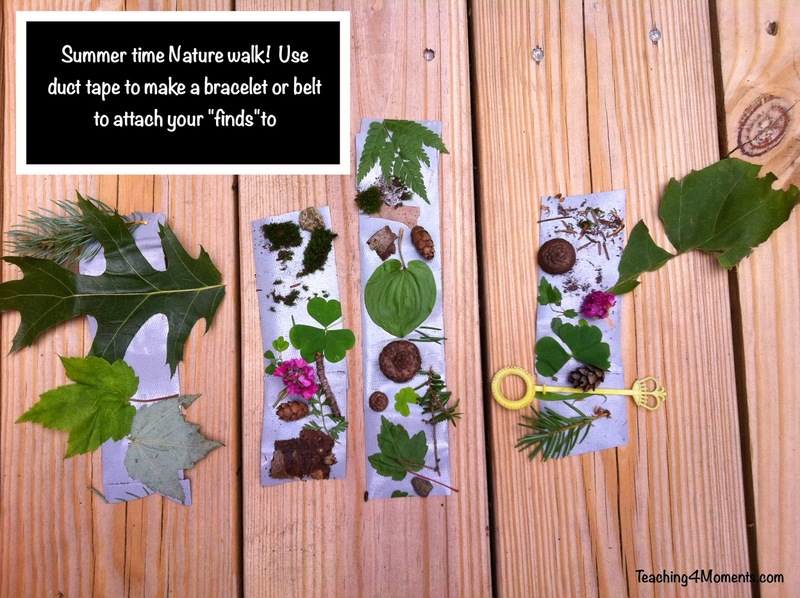 Don't forget to go on another walk in a different season to compare what was in nature at that time. Why are these in nature at this time of year? What do you notice about the colors of items found? What other items were found that are not plants? Why are they in our environment? Do we have an impact on our environment? How do people change nature around us? Which items do we think are the most important? Is there any danger from the things we found?